You are currently browsing the tag archive for the ‘Rudyard Kipling’ tag. 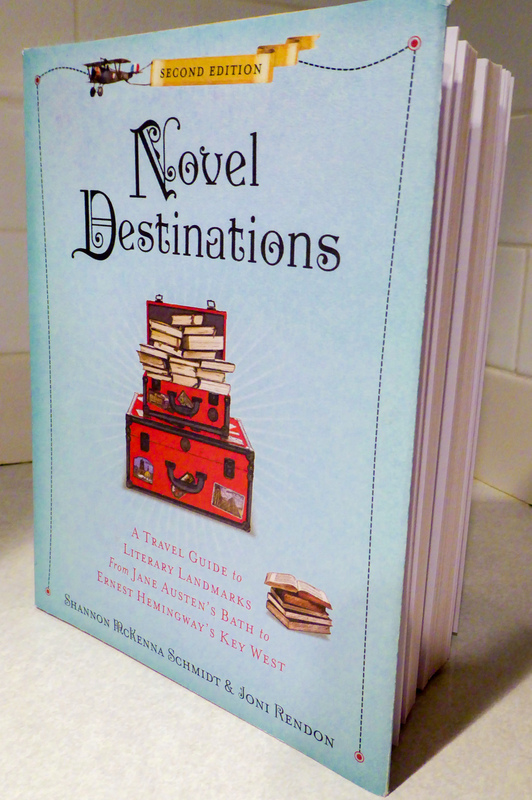 In anticipation of Writers Between the Covers, on sale October 29, we’re spotlighting locales associated with literary lovers. Click here to find out how to enter to win a copy of the book. While Rudyard Kipling was on honeymoon, he received the bad news that his bank had gone bust, taking his life savings along with it. 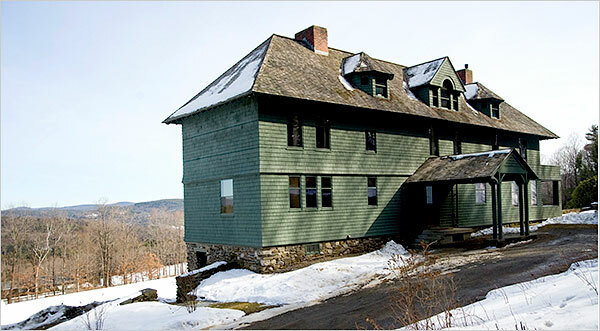 The penniless writer and his young American bride, Carrie, decided to leave England for Brattleboro, Vermont, where they were able to build a home on property owned by Carrie’s family. They christened their dwelling “Naulahka,” the Hindi word for “jewel beyond price,” which was also the title of a novel Kipling had co-written with his wife’s brother. While at Naulahka (pronounced now-LAH-kuh), the writer produced some of his best known works including The Jungle Book and the first of his Just So Stories. His fiercely protective wife guarded the door to his study, refusing admittance to the newspapermen and fans who frequently came to call on the now-famous author. During his time in Vermont, avid golfer Kipling also invented the game of “snow golf” using red-painted golf balls and cups. His golf clubs remain at the house, which the family hurriedly left only four years after their arrival. When Kipling became embroiled in an ugly lawsuit against his alcoholic brother-in-law, who reportedly threatened to kill him, the resulting media hype spurred the publicity-shy writer to return to England. 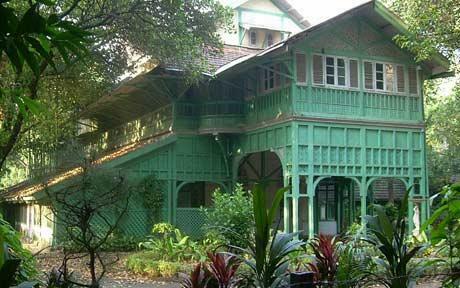 Today Naulahka, which has been managed and restored by the Landmark Trust, can be rented by bibliophiles who want to soak in Kipling’s claw-foot tub or sit at the desk where the Nobel Prize winner penned his works. “Behold us,” Rudyard Kipling enthused in 1902, “lawful owners of a grey stone lichened house–AD 1634 over the door–beamed, panelled, with old oak staircase, and all untouched and unfaked.” After years of transiency and travels, the Bombay-born author of The Jungle Book and other tales had found “a real house in which to settle down for keeps” in the English countryside. Kipling went on to live in the sprawling Jacobean manor, known as Bateman’s House, until the time of his death thirty years later. Bateman’s remains almost exactly as the Kiplings left it, and among the many items that fascinated me were the bronze plaster wall hangings depicting characters from The Jungle Book, created by the author’s ceramicist father. Although it was a rainy, blustery day, my husband and I enjoyed a walk around the multi-acre grounds to see Kipling’s pristine 1928 Rolls Royce and take in the pond and rose garden he designed himself and paid for with his 1907 Nobel Prize winnings. Prior to residing at Bateman’s, Kipling and his American wife lived for a few years in Dummerston, VT, in a custom-built home they christened “Naulakha“, a Hindi word meaning “jewel beyond price.” Today, the house (which is chock-full of its original furnishings, including Kipling’s pool table), can be booked as a vacation rental.